Amino AcidsNOW Foods L-Tryptophan 500mg - 60 kaps. 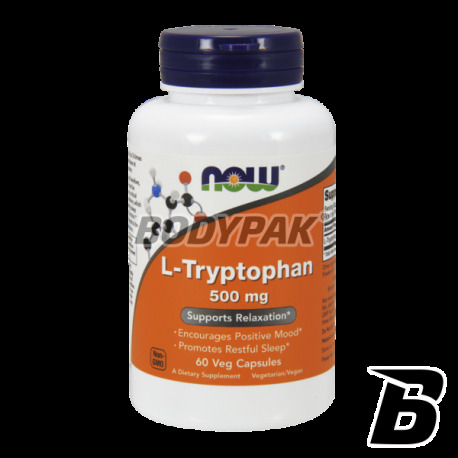 NOW Foods L-Tryptophan 500mg - 60 kaps. If you suffer from mood swings and often feel anxiety - reach for this product that will help you calm the mind and return to normal functioning. Only the highest quality tryptophan! L-Tryptophan increases the level of serotonin, which reduced the level is the primary cause of anxiety and depression, changes in mood and behavior and sleep disorders. NOW Foods L-Tryptophan is a product of the highest quality, so that you will find "their way in life." It is a natural antidepressant, which has an impact on increasing the serotonin (the hormone "happiness"). With such treatment quickly, you will be able to calm the nerves and prevent depression. The modern world often leads us to the extreme - let us fight this. Health is the most important - remember that! 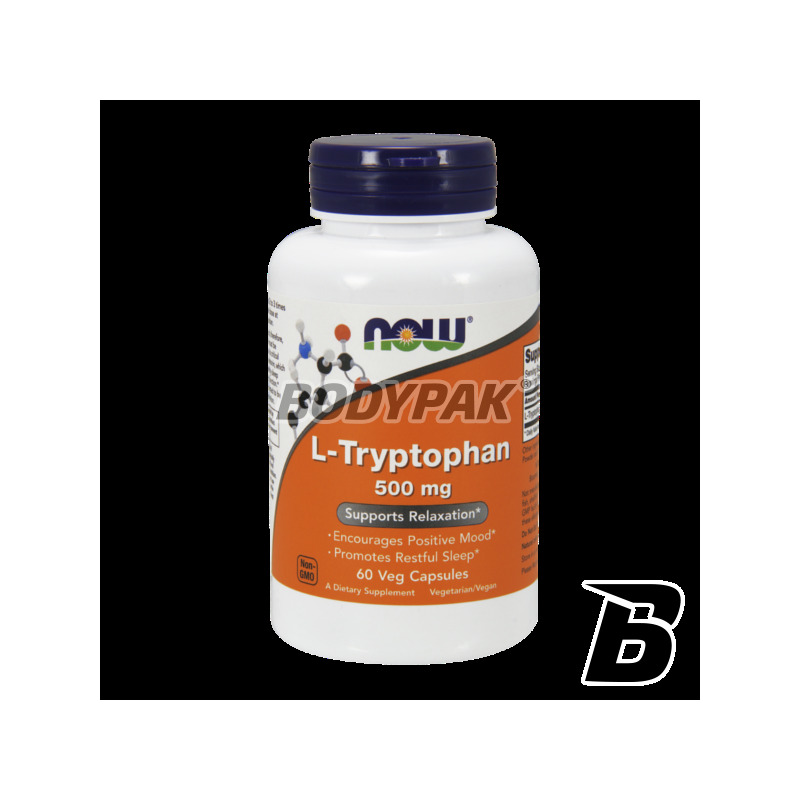 NOW Foods L-Tryptophan used by the athlete also speed up recovery after training, allowing you to quickly return to full strength even after a hard day. Often there are problems with insomnia, and here will apply this supplement. This is obviously not a cure and should not be treated as such but does not change the fact that it shows a multidirectional effect on our body. Accept a single scoop 1-2 times daily on an empty stomach. Inne składniki: celuloza (kapsułka), celuloza w proszku i kwas stearynowy (roślinne źródło).